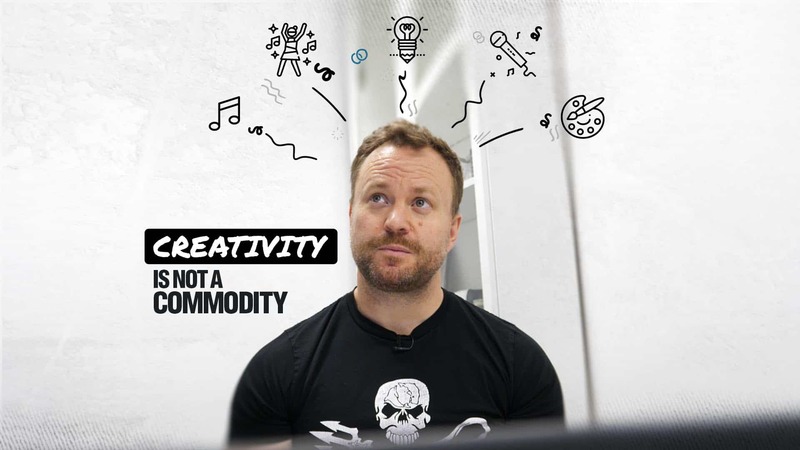 When it comes to business, creativity is not a commodity. There is very little value in creativity. I’m not saying there’s none, but there is very little. The real value comes from the ability to execute on your creative ideas and turn them into something very practical. Creativity in isolation is pretty much useless unless you’re paired up with someone that can execute for you on a moment to moment basis. But then of course you’re dependant and that’s a risky place for any business to be in. If you can’t execute on your creative it’s like wanting to make chocolate with a bowl of coco and no milk and sugar. Coco by itself isn’t really that fantastic. It’s not until you put the milk and sugar in that you’ve got something special. Before you do anything you need to get really clear on what you want to execute on. Become laser focused on what you are trying to achieve. The discipline being the structure around the execution which increases the probability of you achieving what it is you want to achieve. It’s a process driven step by step approach. You have to have a ‘chunk it down mentality’ in order to take consistent action towards what you are working towards. Motivation, root word – motive, is the reason why you are doing what you’re doing. Because if you don’t have a big enough reason to do what you do – if the reason isn’t grounded in something of real consequence to you then you just won’t do it, it’s as simple as that. Motives are very much rooted in our values and are generated around the things that are most important to us. If getting tangible outcomes to your creative concepts and talents is important to you then you have to have the ability to focus, you have to have the ability to be disciplined and then you have got to find the right motivation behind why you’re doing what you’re doing. Only then, will your creative become valuable to others.